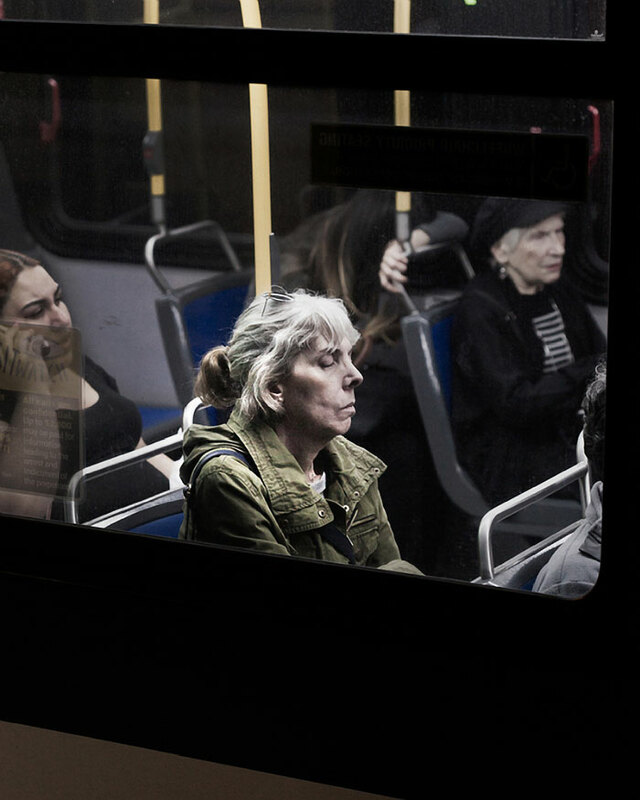 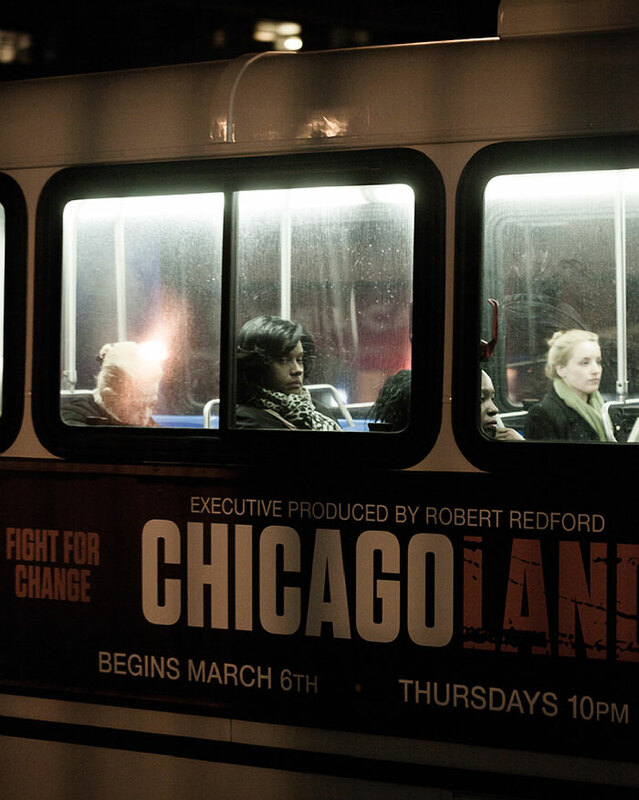 Photos of weary-looking people on the bus by New York City-based photographer Travis Huggett. 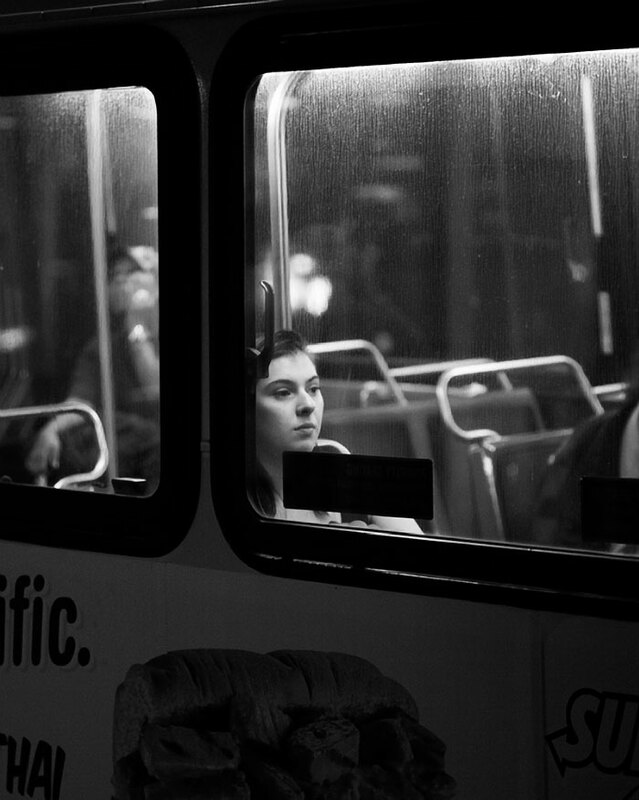 He captures them in their own private thoughts, going through emotions of frustration, curiosity, stillness, anxiety etc. 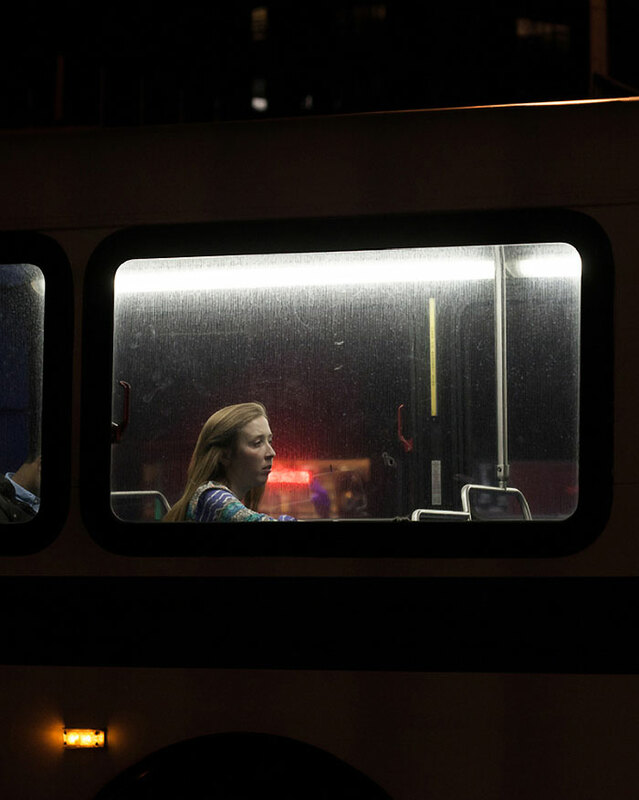 Huggett started photographing bus riders at night after seeing a girl peeking out of a streak in a fogged up window one rainy night. 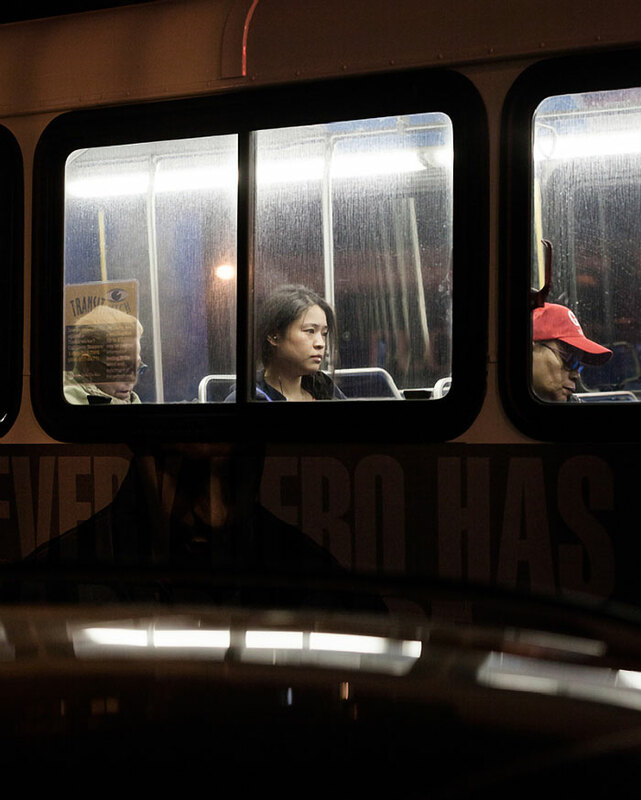 He states that shooting them on the way home at the end of a long day makes a difference as they are too tired to care or notice although some of them might disagree, but he remains "respectful of people's head space and actual physical space." 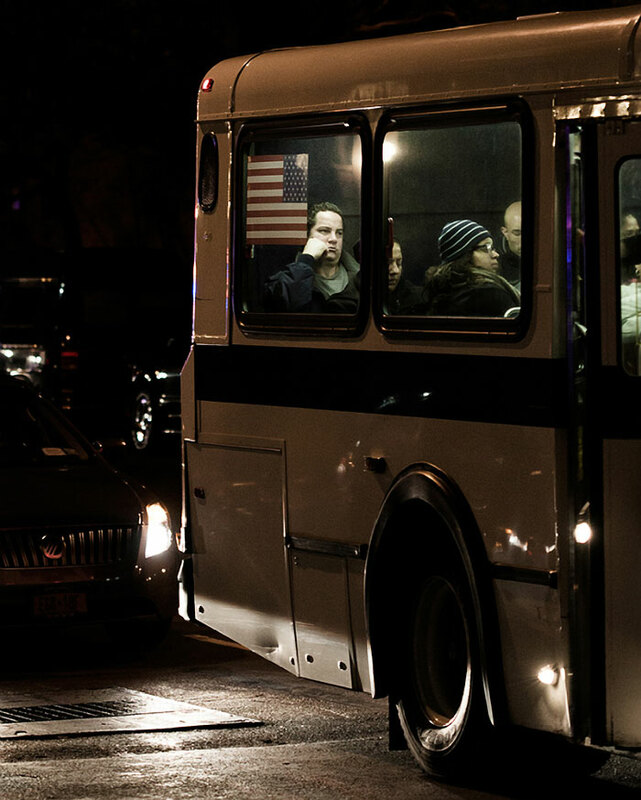 The first thing I saw was the contrast, looking into the overlit buses as they wound their way through the streets at night. 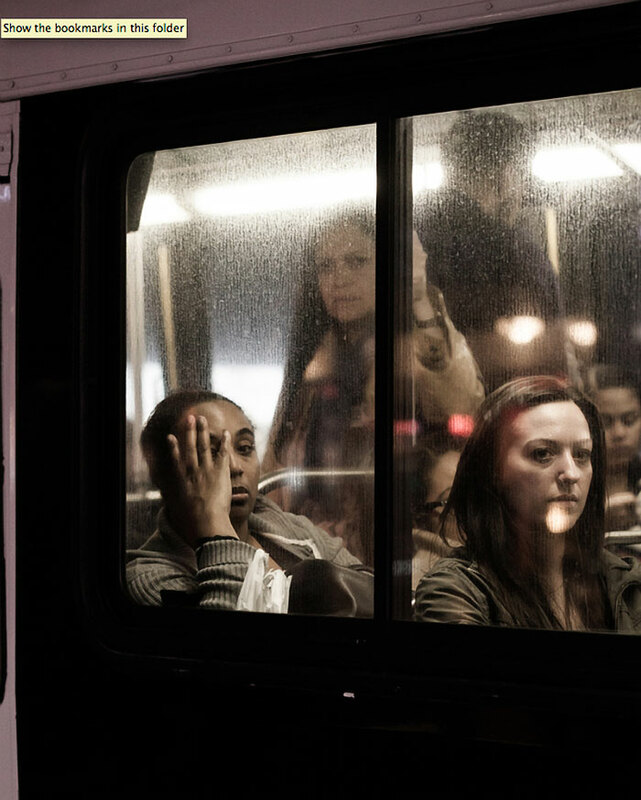 Next it was the faces, weary riders, tired, enduring the last bit of their public day, already slipping into their private lives. 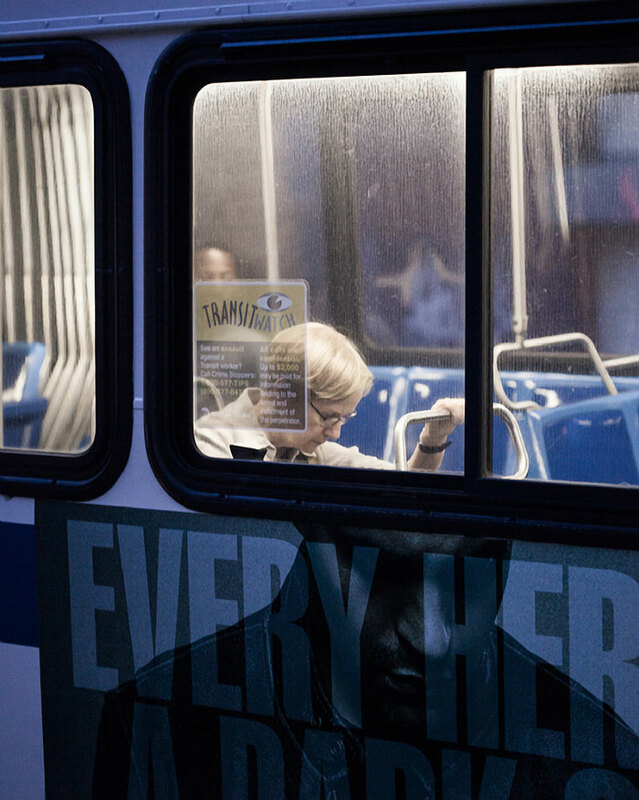 Photos of weary-looking people on the bus by New York City-based photographer Travis Huggett.